How many band members do you need to book for your event? You can book 4,5,6,7,8,9,10,11,12 13, 14, 15, 16, or 17 piece band. 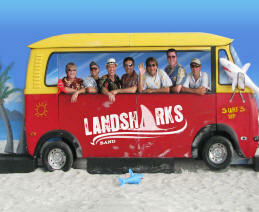 The 4 piece Landsharks Band can play any event. But you can also add additional musicians.....! *the 4 piece band is all you need for a great event! 5th piece- (Saxophonist)- Adding a sax is great for almost every situation! The Saxophonist can add much energy to the band and can also be used for cocktail hours, dinner sets, and almost every situation. The sax is also great for almost every situation including concerts, conventions, parties, beach weddings, and more. 6th piece- (Steel Pan Player) The Steel Drummer is great for any Tropical , or Caribbean themed event and also adds much to Jimmy Buffett songs. 7th piece- (Falsetto Vocalist) THIS IS REQUIRED FOR A BEACH BOYS ONLY PERFORMANCE (Nothing but Beach Boys. )but also adds much ato The Jimmy Buffett show, and any other styse of muic From the 50s, 60s, 70s, 80s, 90s, 2000, 2010, and also modern music! 8th piece- (Harmonica Player) The Harmonica player add much to the Jimmy Buffett songs and also is great for a nice, bluesy-feeling song, rock and roll, and more! 9th piece-(Trumpet Player) The Trumpet player can be added to the Sax player, to form a horn section. 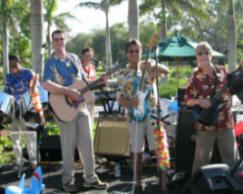 Adding the Sax and also, The Trumpet, to your beach band, would add a "horn section" to your event! The Landsharks Band and their horn players can also play famous horn band songs, also, if you desire! 10th piece (Trombonist)- The Trombone player can be added to the Sax player and trumpet player, to form a 3 piece horn section. Adding the Sax and also, The Trumpet, and Trombonist, to your beach band, would add a 3 piece "horn section" to your event! 11 piece- (Conga/Bongo/Percussionist) This would add even more beat and rhythm! This would be added to the rhythm section drummer. 12 piece- (Ukelele) This would add a few Hawaiian songs to the event! Gary Roland has been a Talent agent for over 15 years. He has booked bands for Disney, Universal Studios, The Super Bowl, The NFL, NBC Television, Microsoft, Apple, Ford, Toyota, and too many other great companies and venues to mention! 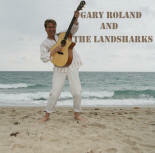 Gary is also the owner, lead singer/lead guitarist, for "Gary Roland and The Landsharks Band." 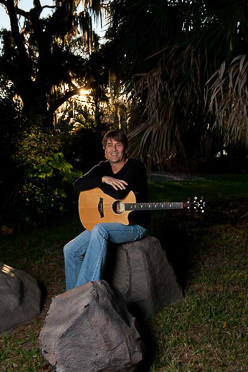 Gary has played with, backed up, and opened up for Jimmy Buffett, in concert, at Margaritaville, and also, opened up for the Beach Boys, in concert, played The Super Bowl, and travelled the world, performing and coordinating events, shows, concerts, and more! 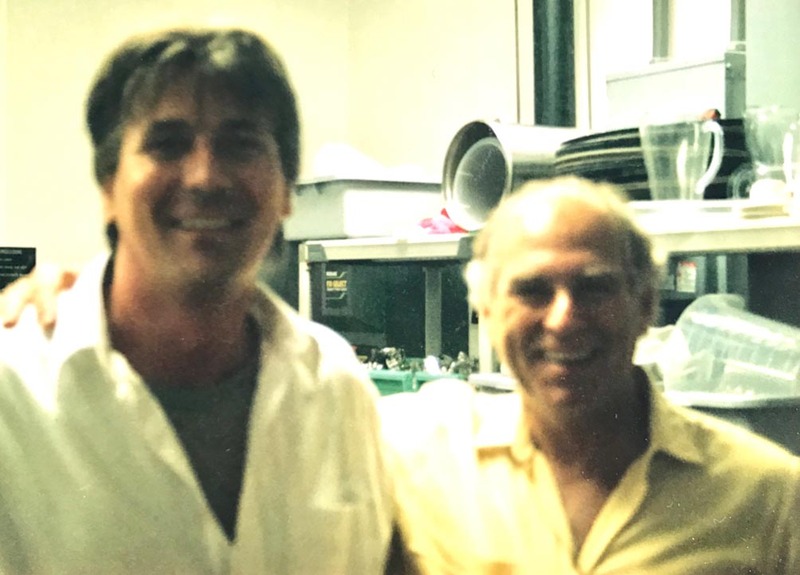 Gary Roland and Jimmy Buffett, after performing together, at Margaritaville. 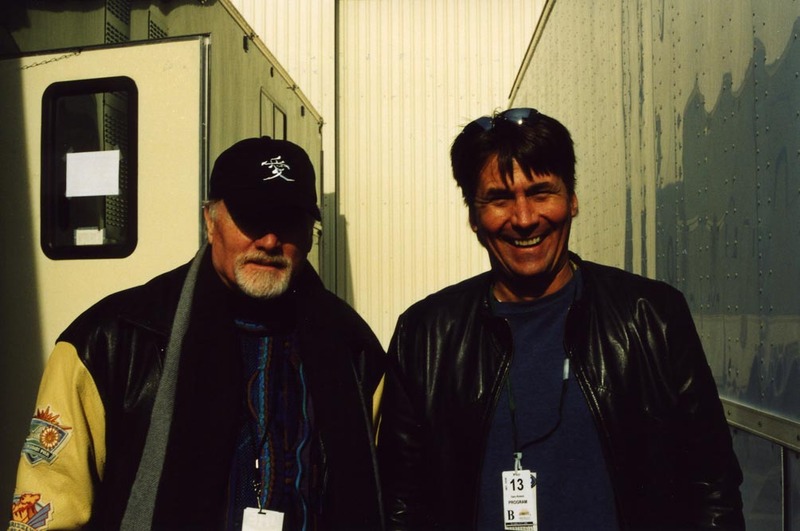 BELOW: Gary Roland (Right) with Mike Love, lead singer for The Beach Boys, Backstage, before a Beach Boys/Landsharks Concert! 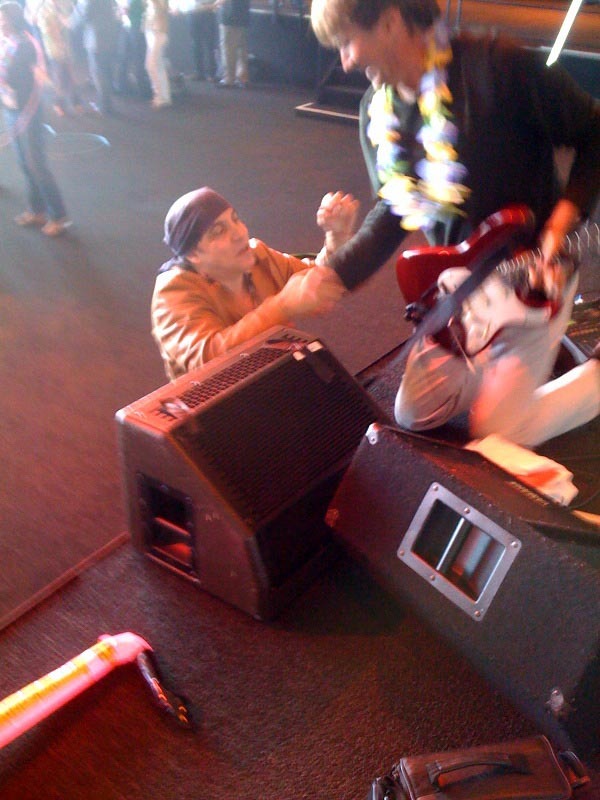 BELOW: Gary Roland (Right) and Bruce Sringsteen's lead-guitarist, Sopranos Star, and Radio Host of the "Underground Garage" radio program, Steve Van Zandt, at The Super Bowl Pre-Game Party, AT THE SUPER BOWL. The Landsharks have opened up for many major artists, and have backed up, and opened up for Jimmy Buffett, in concert, and at Margaritaville, on several occasions. The Landsharks have also opened up for The Beach Boys, in concert. The Landsharks have played at several SUPER BOWL EVENTS including playing at the NBC Television Super Bowl Pre-Game Party AT THE SUPER BOWL, and also at the after-game victory party for The New England Patiriots. 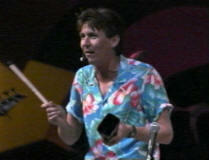 The Landsharks have played over 100 shows at Walt Disney World and Universal Studios. They have also performed for our troops overseas several times, all over the world! Landsharks are fun and interactive! ...and great musicians! Worldwide for over 20 years.